Xi is sending a signal to Trump, the trade deal is almost complete. The entire economic system is about to change. The economy is collapsing rapidly and everything needs to be put in place before this happens. The Fed is now under the control of Trump, he is dictating what the Fed should do next and how they are going to bring down this economy. Grassley writes a letter to Blumenthal saying Simpson lied in Senate testimony. Facebook has been caught using data without the users consent. Trump goes after Macron, tells him the people are siding with him about taxes, climate change etc. Q drops more bread crumbs, warns deep state might try another stunt to delay, but the next stunt will need to be larger to really postpone the inevitable. Q and team countered the deep state delay by getting Flynn off. Other investigation are ongoing but the memo is heavily redacted. Sen. Chuck Grassley (R-Iowa) said Monday that Fusion GPS founder Glenn Simpson lied to the Senate Judiciary Committee staff about whether his infamous firm continued to investigate Donald Trump after the 2016 election. a former staffer for Sen. Dianne Feinstein (D-California), Daniel Jones, told the FBI he had retained Fusion GPS’s services to “continue exposing Russian interference” after the election. Certain tweets and Q posts are done deliberately on certain dates as markers, all according to plan. Note Q’s Dec 4, 2017 post about Flyn, verified by NBC News tweet on Dec 4, 2018. So my guess is, this info must have been leaked to NBC News on a specific date, Dec 4, 2018. Then Q’s post today on Dec 4, 2018 one year later from first post about Flyn. So pay attention to dates of posts. Q “predicted” No Name death exactly 30 days prior,*The separate criminal investigation that Flynn assisted with was for McCain’s criminal/treasonous case, where he was found guilty and executed by legal injection last August. Did Mueller have a choice in making the recommendation? No. Mueller’s boss told him what to recommend. Who does Mueller ‘now’ report to? Acting AG Whitaker. They are working on the criminal and treasonous cases of all of the deep state bad actors, racking up 66,000+ sealed indictments to date. Whitaker is now overseeing all of this. Who has access to NSA UT Term1-12? Huber is in Utah, so he has access to it all. No doubt. The Umbrella collection means everyone a target talks to is also under surveillance, and everyone these other people talk to are also under surveillance. We are witnessing first hand precision Military planning, not science fiction. Q is leaking as much as he can to keep us informed without violating National Security laws. None of this is coincidence. Its beyond all probability, it has all been meticulously planned. Its all been planned to bypass ‘installed’ restrictions to prevent future possible lawsuits. I’m not sure what he means by installed restrictions. Do we understand what Q is saying? NBC News: Special Counsel Robert Mueller asks a judge for little to no jail time for Ret. Lt. Gen. Michael Flynn in exchanged for what they’ve described as his “substantial assistance” to their investigation. NBC News: There appears, although the redacted documents do not make it completely clear, that there is a separate criminal investigation going on outside of Special Counsel Robert Mueller’s purview for which Flynn has been providing significant assistance. 3) Unknown Investigation – fully unredacted. D5 drops 1st – last. – When was the first time D5 was mentioned in Q drops, and when was the last time? Odds of a State Funeral on D5? Rapid Fire is a 1992 American action film directed by Dwight H. Little and starring Brandon Lee, Powers Boothe and Nick Mancuso. The film was released in the United States on August 21, 1992. Lee was reportedly in talks with 20th Century Fox about making Rapid Fire 2, prior to his death. School scenes were filmed at Occidental College in Los Angeles. Many of the fight scenes were orchestrated by Lee, which contain elements of his father Bruce Lee‘s Jeet Kune Do fighting style. 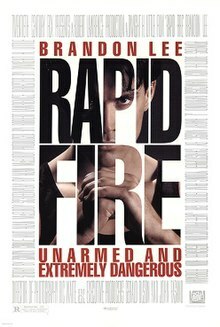 Brandon Lee movie about his character’s take down of bad guys and corrupt federal agents. 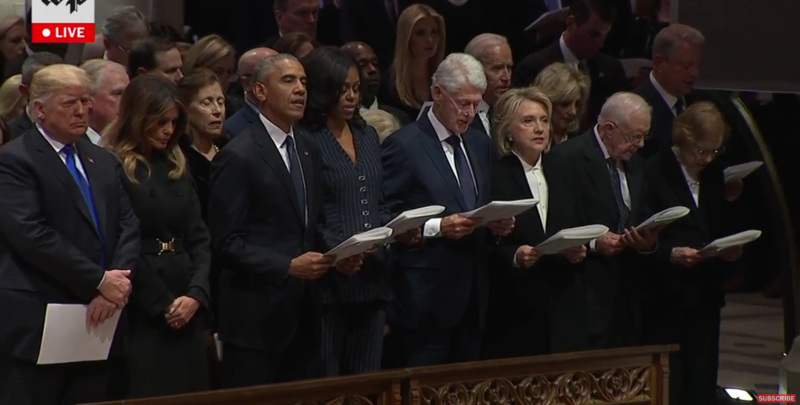 The deep state just spent more ammo, Q responds and says well played but it wont’ stop what is coming, We are ready to counter ” Mueller sentencing memo on @GenFlynn..
POTUS FLOTUS not participating in this evil. The ‘blue checkmark’ FAKE NEWS Twitter personalities are out in full-force today attempting to push another FALSE narrative that arrests were supposed to occur today. How much attention does “Q” receive from the FAKE NEWS MEDIA? People awake are what they FEAR THE MOST. A MAJOR solar storm is predicted for TODAY after researchers discovered the sun has released a barrage of cosmic radiation. Earth could be plunged into darkness tomorrow, with solar winds having the power to affect satellites, knocking out GPS navigation, mobile phone signal and satellite TV such as Sky. A surge of particles can also lead to high currents in the magnetosphere, which can lead to higher than normal electricity in power lines, resulting in electrical transformers and power stations blow outs and a loss of power. The National Oceanic and Atmospheric Administration (NOAA) says there is a 45 percent chance that a solar storm could hit Earth. “This one was produced not by a sunspot, but rather by a filament of magnetism erupting from the sun’s southern hemisphere.